Depending on the season, the type of hairstyles that girls usually try may be different from usual. One of the most common hairstyles that girls usually try during summer and spring seasons are having braids on the hair. Since there are so many styles to choose from, girls can go wild and free with choosing braids that will best suit them. There are some styles that can be easy to do while others would require the help of other people who are better equipped with braiding skills.Here are some best braided hairstyles for girls. One thing that should be remembered about braids is that once you learn how to do the basics, you will already know what to do with the next styles that are available. The French braid is known to be one of the classic braid hairstyles that are available. The braid may look intricate and hard to do but the moment that girls get the hang of it; this is one braided hairstyle that can be done easily. This is one cute looking hairstyle that girls can wear on their hair as long as they have long hair. This is very easy to do. The hair should be placed in a ponytail first and then the two sides will be twisted well. After that, the braid will be crossed together to create one cohesive braid. Do remember that there is a need to keep everything in place so that it will not have any problems. There was a time when this type of braid became very popular probably because of its unique appearance. The braid is so evident that people will immediately recognize it if it is a fishtail braid or not. While it may also look like a complicated type of braid, some people are able to do it with ease. Fishtail braids can be done in just one long braid at the back or can be on either side of the head. For girls who would like to have a great looking braid that will look like a headband then this halo braid can be the best option available. Contrary to what people believe in, the braid would have to start from the nape of the hair. 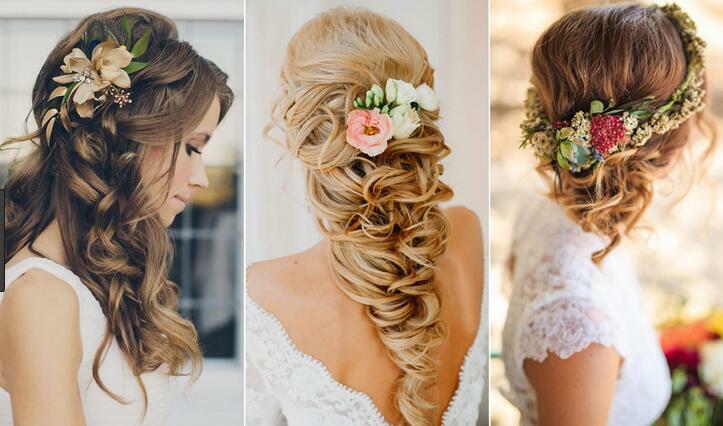 Everything will be secured until the halo braid can look amazing on the hair. You have to remember that the waterfall braid would need to start in the middle of the hair. 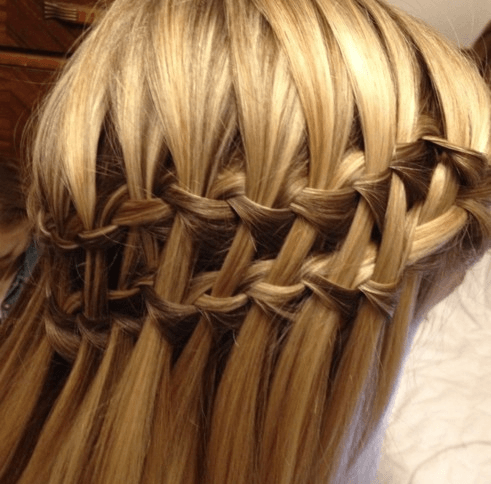 Usually, there are three strands that are needed in order to make the waterfall braid available. You need to make sure that you know how to French braid before you can do this type of braid. This is the type of braid that is perfect for the beach because this can look amazing during the hot weather. This is usually perfect for girls who have layered hair because the shortest braids can look undone and only the latter part of the hair will be braided. If you would like to elevate your normal ponytail and you would like to make your braids special, you can be sure that this braided ponytail can be amazing for you. This style is easy to do because you can do the normal braid. Just loosen up the braids a bit so that it can look different from the rest of the braids that you have done before. There is a big chance that you would like to have a type of braid that will not look too girly. This is one type of braid that can be effective for you because this looks a bit punk. 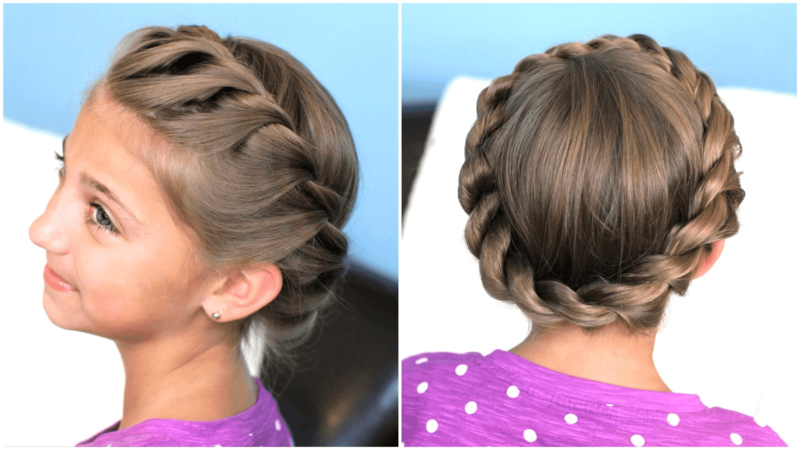 This is a good braid that can be worn in the morning and even at night. This type of braid is usually placed on the side of the head while the rest of the hair may be free. 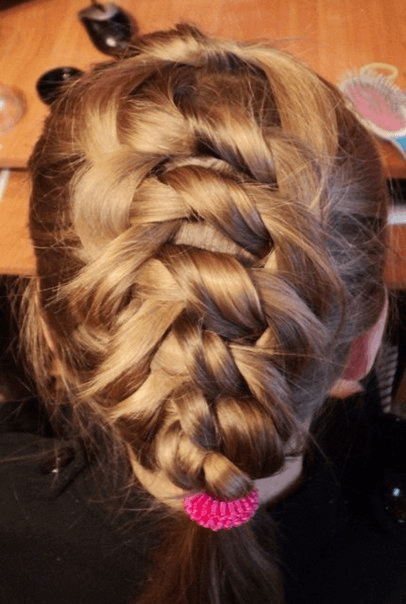 You may already be aware that the French braid is one classic braid that can be worn for both formal and casual events but if you would like it to look a bit edgy, you can do the inside out French braid instead. You would need to make sure that some of the loose strands will be placed on the side of your hair. The moment that you see this braid, your first thought may be how you are going to accomplish it because it just looks so intricate and hard to do but for those who have mastered the basics of braiding and are very much aware of how to weave various stands together then this can be an effective braid to have for the hair. If in case the five strand braid is just so complicated for you to do, you can just do the double braid instead. The great thing about this type of braid is that it can also be done for people who have short hairstyles. 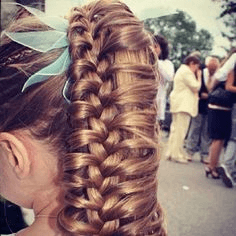 The double braid may be connected at the back so that it will look cohesive although there are some people who opt to make double braids just on one side of the head. 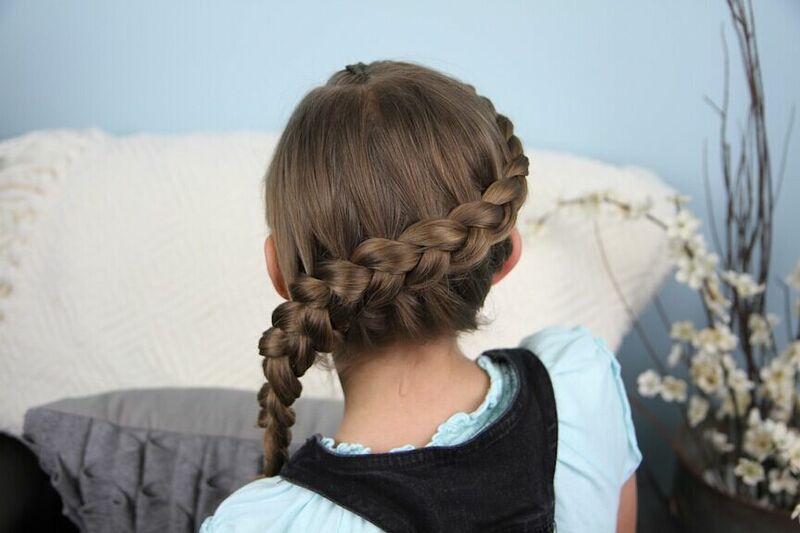 Here is yet again another type of braid that is highly similar to the French Braid, the knotted braid would have to be placed on the side of the head. Generally, this can be considered as an alternative to the undercut for women who are curious about the style but would not like to take the plunge. To make the knotted braid, make sure to add the strands that are closest to the ear area. Would you like to make sure that you will have a type of braid that looks similar to the headbands that you may want to purchase for the summer season? The crown braid may be a nice twist and it will be easy to do to. Just make sure that you will place the crown braid near your hairline so that it will look natural and romantic at the same time. A messy side braid does not only have to be worn at the beach or anywhere where there is water nearby. It can also be worn during special events wherein a lot of pictures will be taken as long as it would be put together in a twisted chignon. While this may seem a bit complicated, just do the messy side braid first before placing the hair in a chignon. Practicing often will make the whole haircut look amazing too. There will be moments when the braid does not have to be just flowing down on the side of your head. Braids can look formal as well as long as you would braid up your hair nicely. The trick to this is to make sure that the braids will be perfect for the texture of the hair and that it will make the hair have more volume than before. Would you like to make sure that you will have braids that do not look like you have made a lot of effort in order to make them possible? 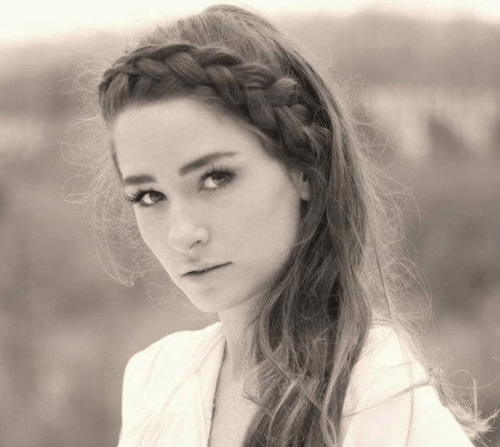 You can be sure that having bohemian braids can be awesome for your hair. You need to make some small braids on the side of your head and then put them up in a half up hairstyle so that the small braids will cascade at the back of the head. There was a time when Hunger Games was the hottest movie available and everyone wanted to know how to do the braid that Katniss wore so badly. Finally, there are some people who have managed to try it until it spread because of the Internet. You can now wear your hair the same way although it would have to be a certain length before you can achieve this type of look. 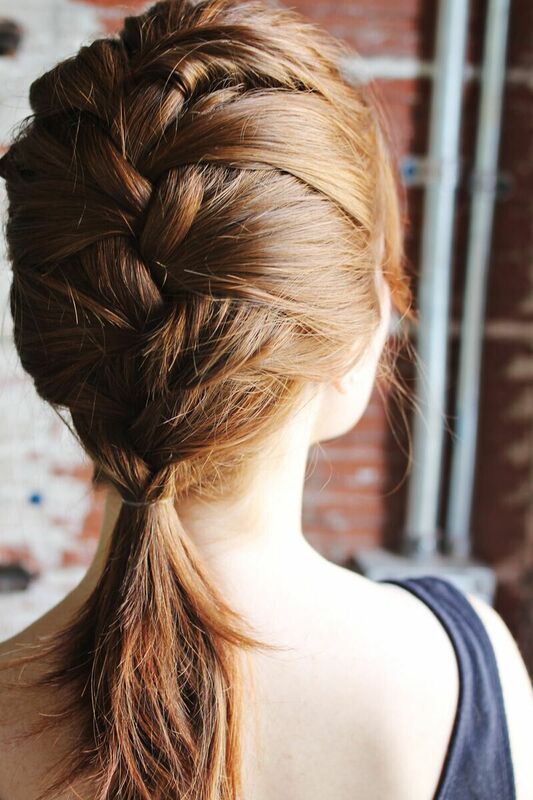 You do not need to be a ballerina to enjoy a braided hairstyle like this one. 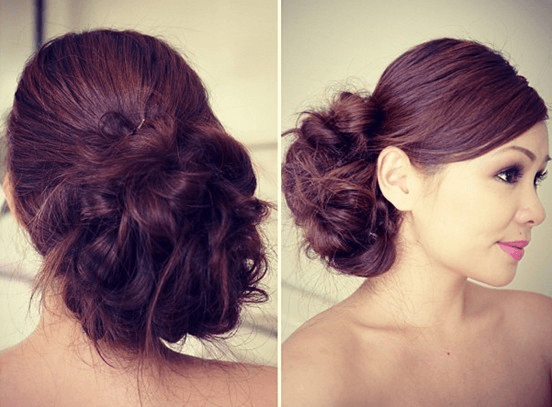 You simply need to put up a bun and you can make one braid to emphasize the whole bun. No need to worry about how to make the braid as well because you only need one simple braid. 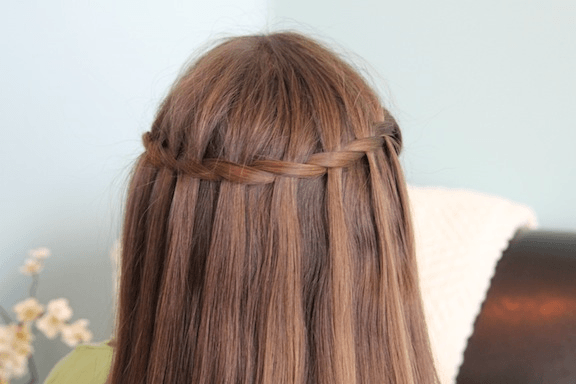 You already know at this point that the waterfall braid can look amazing but what if you can make it look even better by using a double layer waterfall braid instead. 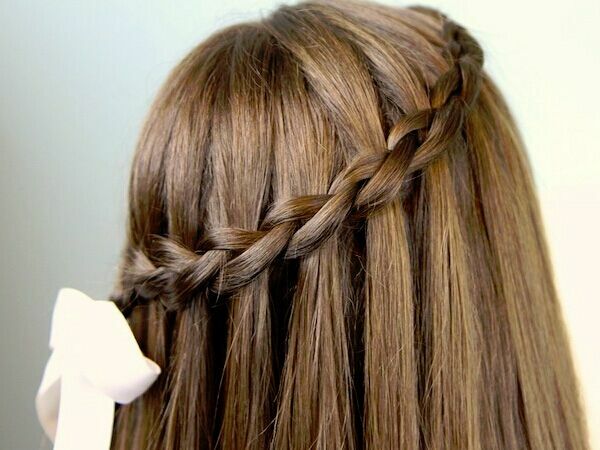 To make this type of braid, make sure that you will do the usual waterfall braid. After you make one, you can create another waterfall braid below the first one. This will result to having an amazing looking double waterfall braid. The braids that are mentioned above are just some of the braids that girls can wear. Sometimes, grown and adult women also resort to doing some of the braids mentioned above because all women would need changes from time to time. Braids can look nice and they can be fun to do as well.